Did you know you can use paints with your rubber stamps? Well, you can! A tip though, be sure to clean them off quickly and thoroughly afterwards. 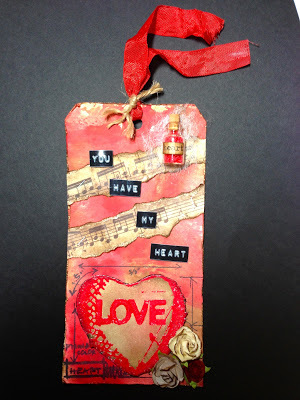 Here’s a heartfelt Valentine’s Day tag from Claudine’s Art Corner showing how to use Distress Paints with your stamps and she even embossed the paint too, wow!